During its inception in 2000, the West Miramar Football program was a member of the South Florida Youth Football League (SFYFL). The program eventually transferred to the Miami Xtreme League and has had remarkable success, producing championship teams in most of the age categories. The program continues to push forward in its efforts to provide a social and competitive environment that embodies sportsmanship, excellence and perseverance. The Miramar Optimist Football Program has created an identity that embodies, “Excellence, Sportsmanship, and Championship Attitude”. As a proud member of the Miami Xtreme Football League, the program prides itself in striving for excellence, and provides a favorable environment where competitiveness and professionalism coincide. Also, the Xtreme league is affiliated with the Orange Bowl Youth Football Alliance. 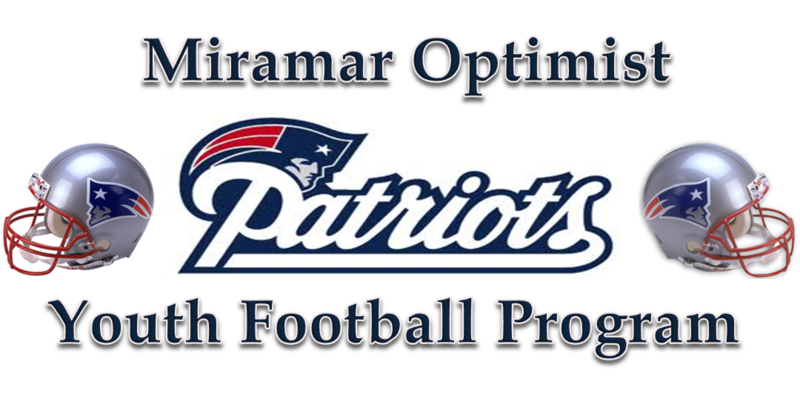 Miramar Optimist Football program looks forward to the 2017 season with profound excitement and enthusiasm in promoting the positive characteristics and experiences that come from participation in football. In 2017 and beyond, the Miramar Optimist Football program will be striving for excellence and to set an example for other youth programs to follow.